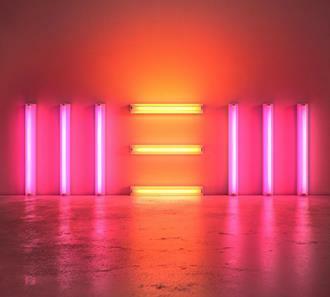 New is not even all that new, as the album is pervaded by classic McCartney sounds and visions from his pre-Beatles days. But does this matter? Of course not. What does matter is that this is one of Sir Paul’s best solo works to date. New does actually include a few new ideas among the swath of older ones. The LP walks a somewhat tight balancing act between the McCartney music that we know and love and more experimental sounds. A perfect example of this is the track “Alligator,” an electronically driven song that also features a harpsichord on the verses. It is this juxtaposition of classic and modern across the album that makes it refreshing. Those long-term fans of Macca get the classic songs that they crave while he demonstrates his growth as an artist and keeps up with the times. The passage of time plays a significant role as one of the disk’s main themes, especially the haunting ballad “Early Days.” The song, a stripped-down acoustic number, is McCartney’s most recent hymn to John Lennon as he sings about their first days in The Quarrymen. The cracks and falsettos in McCartney’s vocals give the song an unusual texture—a mixture of country-western and traditional ballad. It is a powerful sentiment that Lennon’s memory still holds such a grip over McCartney even 30 years after his death. If you have not yet fallen in love with Paul McCartney’s music, this LP is a great chance to do so. New might not refer to how groundbreaking the album is, but instead the fresh fans it will garner.